"Collecting is a form of madness. It's not a bad obsession. It's not a drug addiction. It's a good addiction. It keeps you out of trouble." 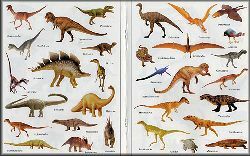 This section of The Dinosaur Fan presents sets by the country which is directly or indirectly associated with the sponsoring company* of the collectibles. It can be deceptively difficult to determine which country is most applicable. For example, there are a variety of sets sponsored by companies in the USA but which were actually produced by companies in Asia. For the most part, I’ve chosen the country of the sponsoring company but one could make an argument for the countries of the companies that actually manufacture the sets. NOTE: the information presented throughout this website has NOT been reviewed by any person or organization. All information has been gathered and/or synthesized by me. I am doing my best to provide accurate data however, if you use material from this website for any reason, I would advise you do so with EXTREME CAUTION as there is a good chance that omissions, errors and/or outdated information may exist.